Pulling apart my Aerogarden, was quite surprised how simple it is… nothing more but a submersible water pump, same thing as my kitty water fountain. 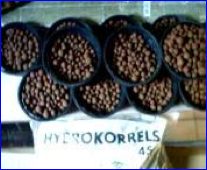 HYDROTONÂ®Growing MediaHydroton is the “expanded clay,” a lightweight gravel which is manufactured specifically for hydroponic cultivation. This media is the first choice for many commercial Dutch growers specializing in flower and vegetable cultivation. Not to be confused with many other kinds of expanded clay which look similar but which are often toxic, Hydroton is pH stabilized and releases practically no minerals into the nutrient stream; in other words Hydroton is almost completely inert – except for offering excellent moisture and oxygen capacity to stimulate healthy root development. 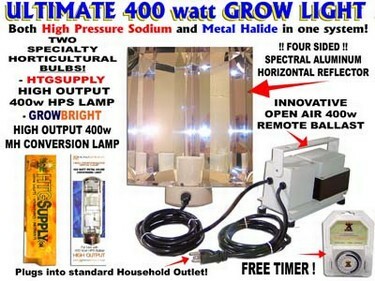 I got a high output 400w grow light system that uses both METAL HALIDE (blue light for seeding and cutting) and HIGH PRESSURE SODIUM (orange light for flowering and fruiting) light bulbs. There are lots of much cheaper lighting systems out there, Aerogarden uses only 32w fluorescent light bulbs, and things grow just fine. But I really want my vegetables to grow faster, I decided to invest on a good light. These are all the parts you need! 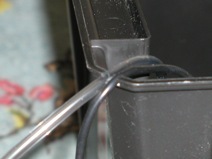 2. cut a little gap on the side of the file tote to allow airline and wire of the fogger to go through. 3. fill the grow chamber with 3 gallon of filtered water. 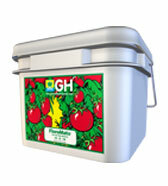 I use General Hydroponic Maxi Series and FloraMato (Dry Concentrated Nutrient) for plant food. my students are working on a NASA experiment, they have to design a aeroponic system to be used in space. I like the idea of the fogger, I’ll pass that on to them for their design. They have some cinnamon basil seeds that were in the space station and are conducting an experiment to see if the seeds from space grow any different then the earth bound seeds. I love your blog, I’m very interested in sprouts also, nice sprouter. Thanks for the great ideas. This sounds like a fun experiment, are you going to post the process anywhere online? I would love to know more about it. 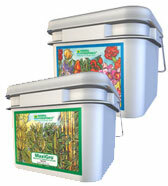 I found this commercial unit, may be of help to you: Nutramist Garden. 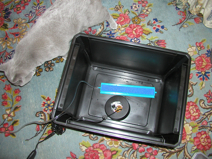 The fogger alone costs somewhere under $400, does what my cheap fogger plus air pump do, but is nicer looking I guess I am thinking of adding the flood cycle with a water pump, it will be a nice upgrade to my simple unit. Best of luck on the experiment! Hi. Your homemade aeroponics system looks great. I was interested in the aerogarden, but it didn’t seem like much of a value for what’s essentially a bucket, lights, timer, and pump. A home made system might be just the thing for me. Can I ask, did you follow a design you found elsewhere or was it something you assembled all on your own? Your design looks like it’s using both a fogger and a airstone bubbler which I haven’t seen elsewhere so far. I’ll probably end up doing something on the Aerogarden scale, with the CFL bulbs, but with a true aeroponics mister/fogger instead of the drip system. One thing about your fogger though. Do the LED lights in that picture turn off? From what I’ve read it’s better not to have any light. With all the water and nutrients already in place, a little light in the root area and you have an algae farm instead, which isn’t good. Yes, the fogger I have is the only kind I found on ebay that, even with LED lights, can be turned off. I know about the roots’ need for darkness, I got a black box for that reason. The roots of my vegetable plants are so healthy and large now, I think I will post a picture soon. I didn’t follow any for-sale plans that are available all over the internet, I just looked at all the commercial units, read what they do, and build one anyway. So far, it works amazingly, I am extremely happy with my very simple setup. i too would rather build it for a custom fit. how much water do you put in the container? Do the plants actually touch the water initially? or is the water just deep enough to float the fogger? I pour in 3 gallons of water that is already mixed with nutrition. But at about 2 gallon, the fogger is already able to float. I just don’t want to keep checking on the water level even though the fogger would automatically shut off when water is too low. The box is really big, 3 gallon is about only 1/3 way up. The roots of large vegetables (string bean, cucumber, and Patty Pan Zucchini) reached the water at around 10 days of growth. The rest of the roots are very far from water even now at 18 days. I sank a shallow bowl at the bottom of the water chamber for each of the plant now, so the roots of different plants won’t get tangled up like the way they grow in Aerogarden (just in case, if I want to move them to different growing chamber — if I came up with one It is not necessary at all). Even though some of the roots have reached into water, the majority of the roots are in the air, and able to get the oxygen they need for fast growth. I am seriously thinking about updating my unit, on top of fog + air, add a water pump for periodical flood cycle for the roots, and keep them 100% in the air. I think I will get a clear box in a few days as the add on water chamber to monitor water level easily and keep the roots out of water completely. BTW, when the seeds were germinating, I cover each pod with a clear plastic cup to keep the moisture and warmth that was needed. I finished building my aeroponic system this past weekend. I hope you don’t mind all these questions. Do you keep your fogger running 24/7? I was just wondering since you have a timer on the surge protector, do you give it a rest every so often? Your plants are looking great! Thanks for all the great info. I use both the timer of the surge protector (to set the lighting time, I keep it on from 12p.m. to 8 p.m. to fit my schedule), and another timer (that comes with my lighting actually, has easy 15 minute segment control) to control both the air pump and fogger. The detail setting I have found working quite well was posted on http://blog.junglin.com/jack-and-the-magic-beanstalk/ March 6 Update in orange color text. I update that post whenever I take new pictures. BTW, there are flowers coming out of the Patty Pan Zucchini plants already, only 3 weeks!! I will post pictures when they start blooming. You’re a genius! I can’t wait to make my own. ps does this fogger float? because if it does wont it get cought in the roots??? I think this is a great aeroponics system!!!! I cant wait to try it for my shelf!!! I want to build one but to leave outside, that why i wont have to buy light. What you think about that, do you think it will work? I do have a question, does it mater if you use a floater fogger vers an ordinary mister fogger. Sorry took me so long to reply, your plants must have grown large by now Without a floater, the fogger will be sitting on the bottom of the water chamber, it will be hard to monitor the water level once the roots grow mature and big (the water is supposed to be only 1 inch above the fogger). I would strongly suggest using a floater. i just wondered, how loud your custom built aeroponic grower was? i plan on building one in my bedroom. thank you for your great tutorial! It is silent, no sound at all, the fogger may make very very tiny vibration waves, but you really don’t hear it. 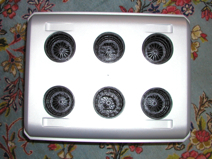 Do you still have this aeroponic garden? how easy has it been to maintain it? how long do you leave the pump and fogger on everyday? Sorry for all the questions but I’m thinking of starting my own system and I want to get a better idea of how it all works. I think most of your questions are answered in my respond to SHunter (no. 5 comment). Don’t need to wash the chamber just add hydrogen peroxide — my “Jack And The Magic Beanstalk” post has more information. This is awesome. Thanks for taking the time to post this. I have a question about the fogger–do you think a steamer would work in its place? There are a lot of steamers that don’t produce piping hot steam and also have switches on them (cheap, too). Also, what about adding a current to the water to boil it on a schedule? That would produce a hotter environment, though, and I don’t know what kind of effect that would have on the plants. I made a system similar to your’s. One thing that I do differently is the cloning process. I use a 500 gph pump with 360 degree sprayer nozzles inserted into a PVC dispersion system. Run the pump 24/7, and once the roots form I swap out the pump system for the fogger. This helps to reduce the risk of an air embolism from forming in the stalk of the cutting which would kill the plant. P. S. I also use a fish tank heater to keep the water at a constant 75-80 F temp. I’ve been wanting to create an aerogrow on a much larger scale for the garage and found your blog entries on it. I told a friend about your post and referenced you as a guy (sorry) then when I came back I actually clicked on your profile picture and wow, I wasn’t expecting you! I could very easily see some geeky guy posting about him hot rodding his file box to grow vegetables! Anyway, nice surprise and I think you’re musically talented beyond belief. Back to the topic at hand. I was thinking that the bottom could be anything waterproof and even if it got bigger one fogger might still be fine. Do you agree? I’m thinking of making one that’s about 4-6 ft long so I can simplify it as apposed to having 4. What do you think? Also the depth of the bottom part isn’t really relevant is it as long as we reclaim as much water as possible? 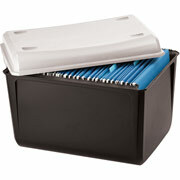 yep, one fogger is more than enough, I just couldn’t find a bigger file box in my neighborhood shops. And yes, the depth isn’t really relevant, but do give your plants enough space, the roots do get very very large! I just want to drop you a line about your areoponic graden. I was wandering how your system was doing along with your plants. Will you be posting any new pics of your veggies. I just started my mine over. I can’t wait to see your pics. A few comments on your setup. 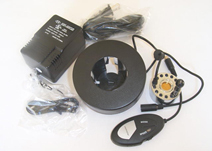 1) Lights – 400W lights running 8 hours a day costs about $10.70 per month (400x8x365/12/1000 * $0.11). Dependent upon your location and time off year, one can buy quite a few vegetables at that price, not counting the joy of growing your own vegetables. Also MH/HPS bulbs get very hot presenting a potential fire hazard should something flammable somehow get on top of the lights, plus thereâ€™s a risk of kids and pets getting burned by the heat alone. High heat from any electrical device adds to the heating of your living space, meaning your AC unit has to work longer (read more expensive) in the summer time. Compared 85 watts (5200 lumens) of one CFL bulb or bulbs, about twice as much as the AeroGrow bulbs, can be put much closer to the plants due to less heat (less light waste) and would cost only about $2.3 per month. Also CFL bulbs, even special plants types costs much less. Even better a homemade LED system, using about thirty 1W LEDâ€™s, each 1W (45Ëš light angle) LEDâ€™s producing about 172 lumens, should produce about the same light output as one 85W CFL bulb, reducing heat even further and the electricity cost to about $0.80 per month. 2) Water – You write you use filtered water, why? 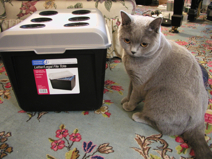 Water filters are intended to filter water for human and perhaps even pet consumption. I believe the AeroGarden and aquarium manuals instruct users NOT to use filtered water. I think it is because that may filter out needed minerals. All you are doing is adding to the cost of growing your vegetables. Anyways love that you have the courageto experiement and keep up the good work! Thank you for sharing your knowledge and learning experiences with us! I have been wanting an Aerogarden for so long… but could never justify the cost (yes, I’m that broke!). 1.) What did you attach your light fixture to on your homemade aero system? Did you set the lights up so that you can adjust the hight as the plants grow? Is an adjustable height even necessary? I don’t want to have to butcher my plants if they grow well! 2.) I have two cats at home. I noticed that you also have an adorable ball of fluff living with you. My cats LOVE to eat my house plants. Does your cat eat anything you’ve grown? If so, how do you keep your feline from feasting on fresh veggies leaves? Thanks for all the work you’ve put into this! May I have your email address for correspondence? Ingenious post you have here! You might also want to submit your grown plants for nutrient value check probably to nullify concerns regarding its being healthy. The box what dimensions should have?